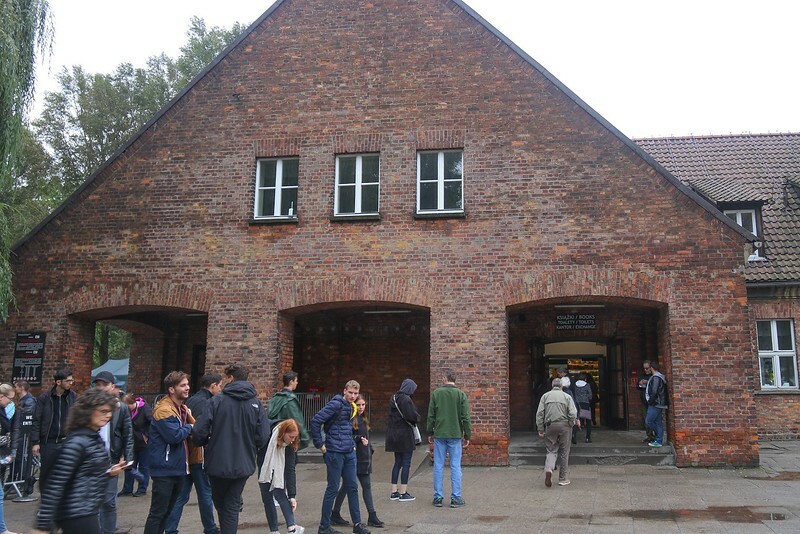 Main visitor entrance to Auschwitz which is on the southwest corner of the remaining Auschwitz grounds. Camera is facing south southeast. This is the same spot where new arrivals to Auschwitz were processed into the camp.